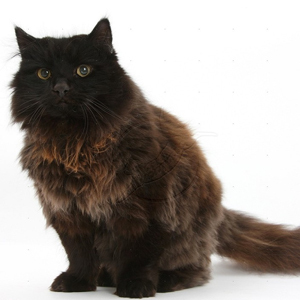 The York Chocolate Cat is a new American breed of show cat, with a long, fluffy coat and a tapered tail and most of them are chocolate. The first part of its name is taken from New York state, where it was bred in 1983. 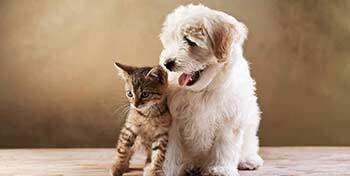 This breed was created by color-selecting domestic longhaired cats, and as the name suggests, all members of this breed are solid chocolate or lilac, chocolate and white, or lilac and white. 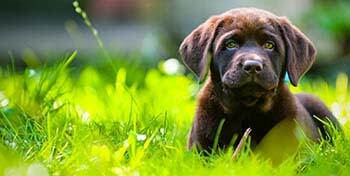 The breed is not yet widely recognized by breeders and the Cat Fanciers' Association. The York Chocolate cat is a medium to large cat with a rounded head and a moderately long muzzle. They have large, almond-shaped eyes that are either gold or green. Their bodies are slender and mid-way between the Oriental and foreign types, with long necks. 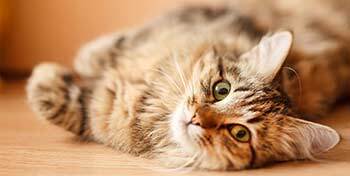 The cats have full, tapered tails, tufted feet, and sometimes ruffs. The coat is semi-longhaired and very fine. It is either solid chocolate, solid lilac, white and chocolate, or white and lilac. The kittens are much lighter, and tabby markings and tipping is acceptable until the kitten reaches eighteen months of age.